As Koja’s eyes locked with the new arrival at the refugee camp, she recognized an all too familiar look… hopelessness. She understood why. As a former Sudanese General, she understood the atrocity of war and fled Sudan to escape it. She, too, made the dangerous trek to Kenya, with three children in tow. She, too, lost friends along the way and hid under lifeless bodies in order to save her own. But, she understood something that few others in the camp knew… there was hope. The kind of hope that doesn’t disappoint; the kind of hope that is life giving and everlasting. The hope of knowing Jesus Christ. Koja made it her mission to bring this hope to the physical and spiritual refugees in Kenya. Koja made it her mission to bring this hope to the physical and spiritual refugees in Kenya. She, along with other believers in the camp, began training with TTI. They started intentionally sharing their faith with the other refugees, and something incredible happened… hearts were softened and open to the truth. 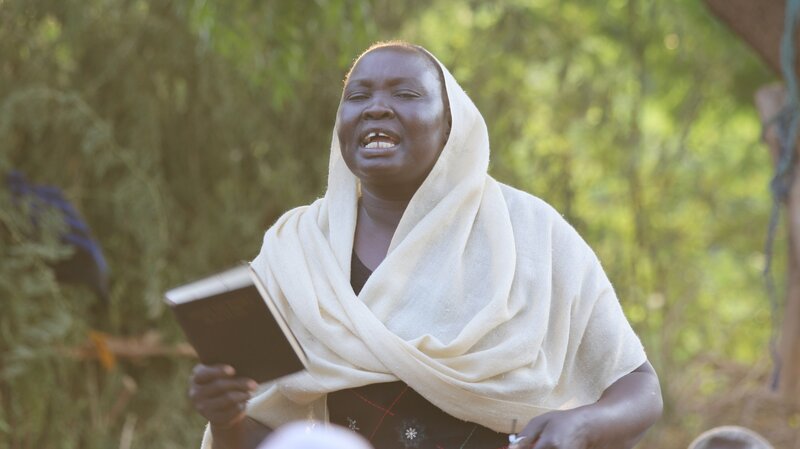 Koja not only led her two Muslim sons to the Lord, but because of her faithful prayers and commitment to Christ has raised up multiple church planters that are also impacting the refugee camp for the Lord. Together, they have planted 12 churches! Koja believes these are the first of many, as Jesus brings healing and hope to the hurting in Kenya. 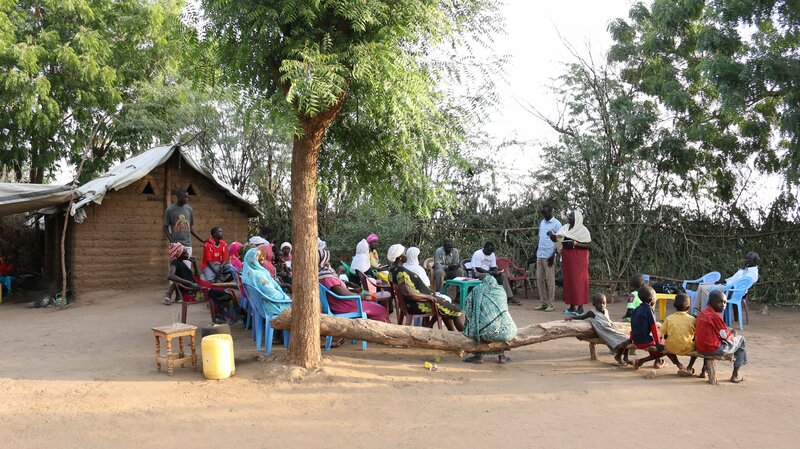 A fellowship under a tree in the refugee camp.